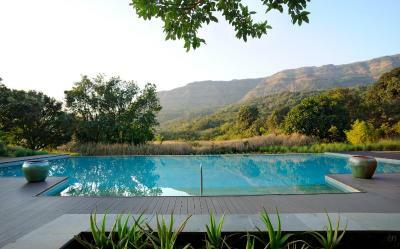 Lock in a great price for Hilton Shillim Estate Retreat and Spa - rated 8 by recent guests. 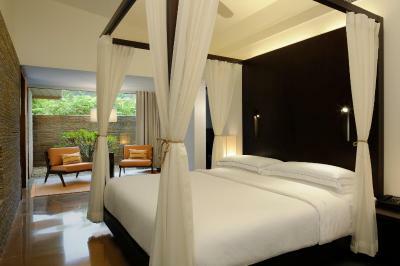 It is more than expected experience, well maintained property, great ambience and very friendly staff. Villas are wonderful !! The spa is a must . 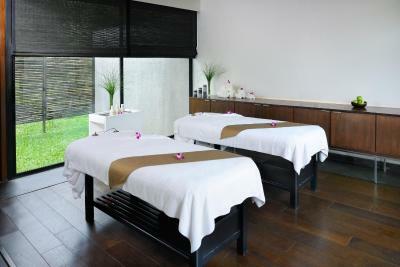 It is simply amazing and you will miss something if you don’t indulge in the fancy spa treatments !! Athella is the therapist you must ask for as she was absolutey devoted to the work she was doing and gave a great experience Must add it was my dads 80th birthday and the hotel gave us a special treatment with cake !! Upgrades !! Fantastic property, with lovely cottages. The food in the restaurant was really good. Property is situated well away from the pollution of the city and is a very calm and quiet property. Good for a weekend away from hanky panky of the city life. Overall experience was a decent one. Best part is fresh food. Everything. The location, the food, the staff and the rooms and the entire experience is just amazing! Great Location. Friendly & Smiling Staff. Great Food - Great Chef. Privacy of Villas. Space in the Villas. The property itself is extremely beautiful and its proximity to both Bombay & Pune make it a great destination for a one night stay. The weather and the flora and fauna were gorgeous. The music softly playing throughout was also super soothing. The greenery, healthy food and the clean air. Not to forget the wonderful staff who made our stay special. Would like to thank Mr.Naveen Pandey, restaurant manager of Terrazo. We went there to celebrate our 7th year anniversary and Mr. Naveen made sure all our our requests were taken care of. The reservations team and Mr.Sylvestor at the front desk made sure that our stay was comfortable and memorable. Would definitely go here again to escape the daily grind of Mumbai. 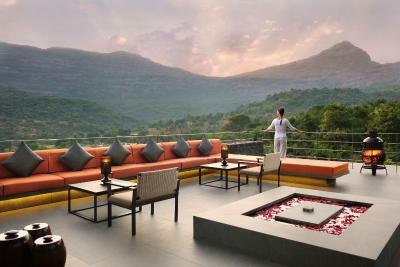 One of our top picks in Lonavala.Located in the Sahyadri mountain range within the 320-acre Shillim Estate, Hilton Shillim Estate Retreat and Spa features luxurious villas, 4 relaxation terraces and a yoga pavilion. 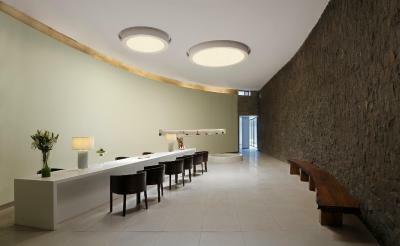 Its extensive spa boasts over 150 treatments while 7 food and beverage options are available. 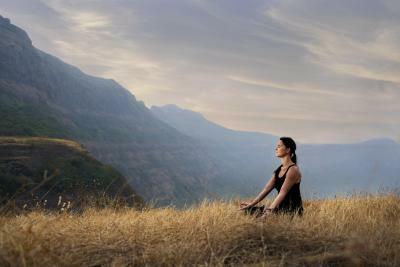 Lonavla is a 45-minute drive from Shillim while Pune is a 1.5-hour drive away. 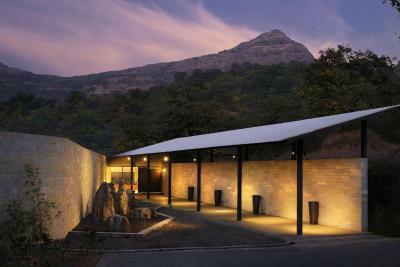 Chhatrapati Shivaji International Airport in Mumbai is approximately a 3-hour drive from the retreat. 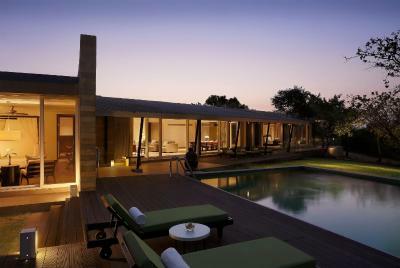 Each air-conditioned villa has spacious outdoor areas and a private spa treatment area. They come with a day bed. Private bathroom includes luxurious bath amenities a separate bathtub and shower. A 42-inch high definition TV, espresso coffee maker and in-room safe is provided. Guests can swim in the outdoor pool and experience a variety of body treatments during their stay. 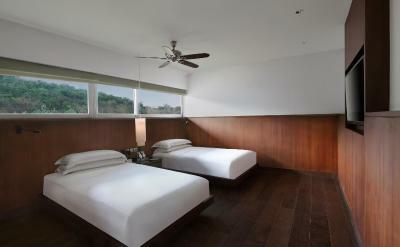 Hilton Shillim Estate Retreat also has a fitness room. 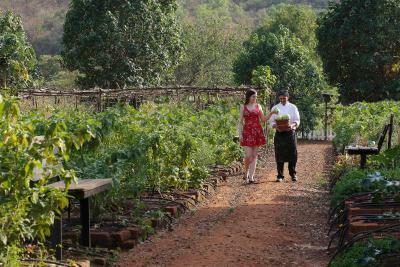 The hotel also offers pottery and cooking classes, mountain biking and other day activities. Terrazzo restaurant serves Indian and International cuisines and Mountain Bar & Bistro offers pasta and freshly stone-baked pizza. 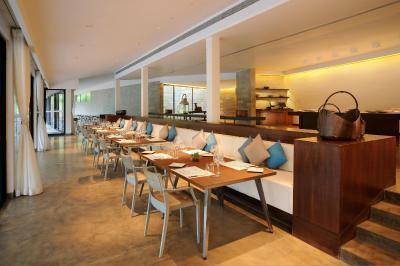 The Green Table is a spa restaurant that serves Mediterranean and Indian delights. 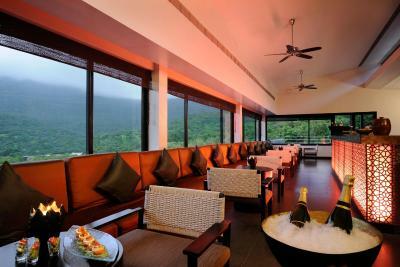 Beverages can be relished at The Valley Bar while The Reserve has an impressive wine cellar. Tea House serves natural tea and interaction with the Chef can be had at the Chef's Table available at prior reservation only. 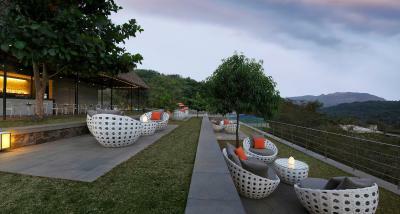 Hilton Shillim Estate Retreat and Spa has been welcoming Booking.com guests since 9 Jan 2013. 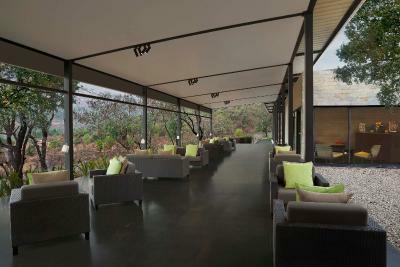 When would you like to stay at Hilton Shillim Estate Retreat and Spa? 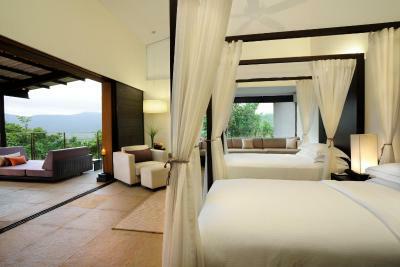 Located on top of a mountain and surrounded by a forest, villa features a king sized bed in the guest room. 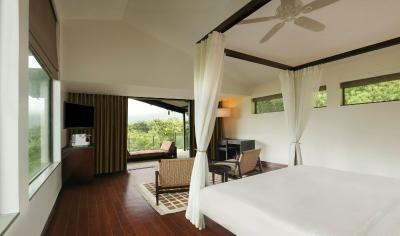 The villas boast a private deck overlooking a 200 metre deep valley. 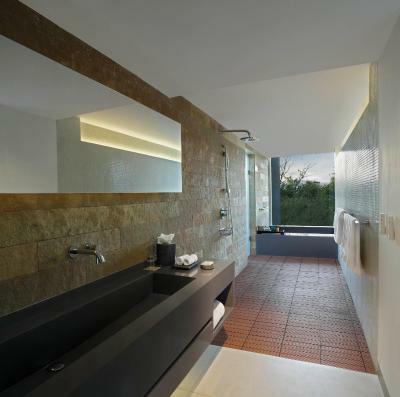 A private treatment area, along with the villa's signature luxurious bath amenities are included. 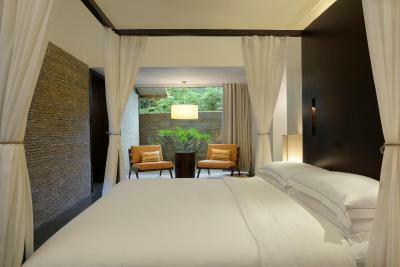 Each villa has a day bed, climate control, 42-inch HDTV, espresso coffee maker and in-room safe. 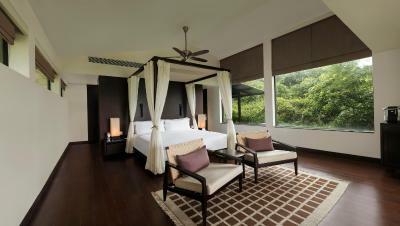 Located within easy access to the retreat's exclusive and beautifully designed SPA zone, villa features a king sized bed in the guest room and a luxurious living room. 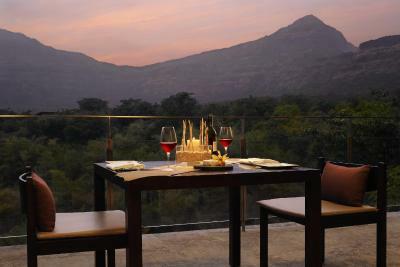 The villas offer breathtaking views of the valley surrounded by the scenic Sahyadri Hills. 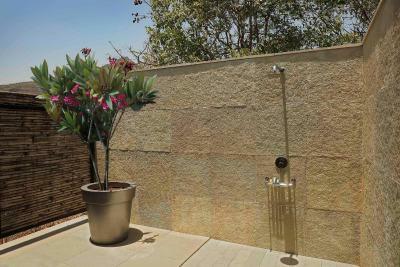 A private outdoor area, private treatment area, along with the villa's signature luxurious bath amenities are included. Each villa has a daybed, climate control, 42-inch HDTV, espresso coffee maker, in-room safe and an indoor and outdoor shower. The room is located near the Spa and kids below the age of 13 are not allowed in that area. 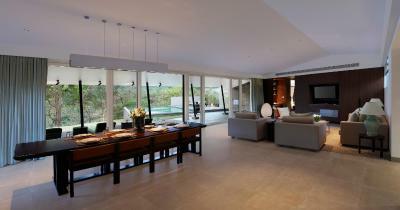 Located near the SPA zone, spacious and luxurious villa features a private pool, a garden and a private treatment room. Villa includes a 47-inch HDTV, espresso coffee maker, an in-room safe and signature luxurious bath amenities. 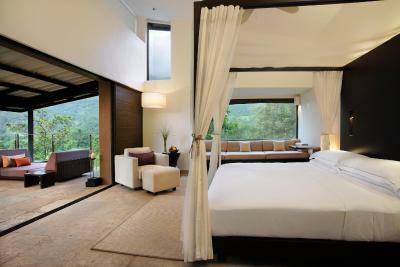 Villa comes with a day bed on the private deck, offering views of the valley and separated indoor and outdoor shower. Offering panoramic views of the lush green Sahyadri Hills and natural seasonal waterfall (during July-Sept), spacious villa features an outdoor seating area, a private treatment space, and a separated indoor and outdoor shower. 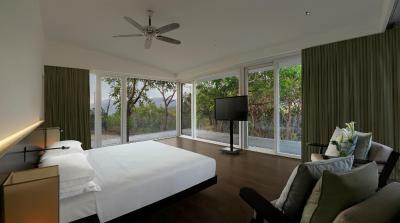 Villa comes equipped with a 42-inch HDTV, an espresso coffee maker, an in-room safe and luxurious bath amenities. 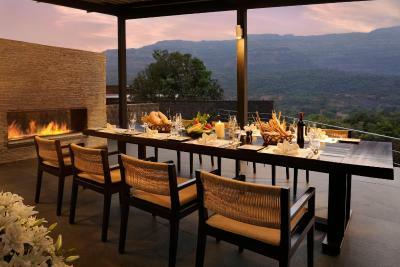 Offering panoramic views of the valley and lush green Sahyadri Hills, luxurious villa features an outdoor seating area, a private treatment space, and a separated indoor and outdoor shower. 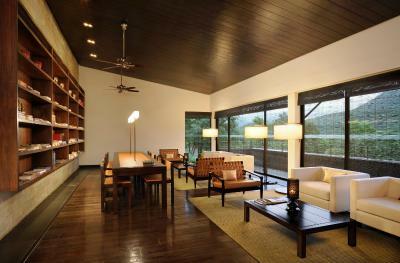 Villa comes equipped with a 42-inch HDTV, an espresso coffee maker, an in-room safe and luxurious bath amenities. 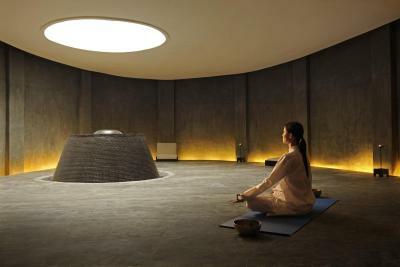 The room has a separate area for spa treatment. 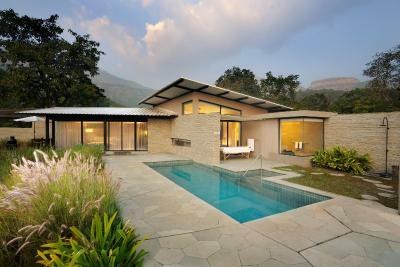 The villas offer a breathtaking view of the valley surrounded by the scenic Sahyadri Hills. 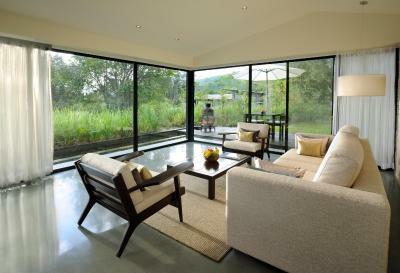 It has a private outdoor area, living area, minibar, electric kettle and flat-screen TV. The attached bathrooms come with shower. 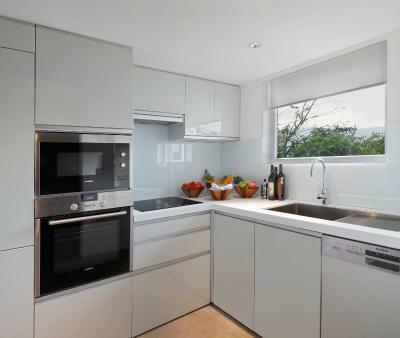 This villa has a balcony, soundproofing and microwave. 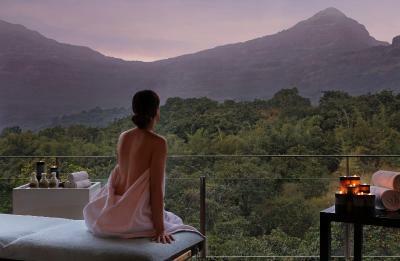 A short drive from Mumbai and Pune, Hilton Shillim Estate Retreat & Spa, the leading spa retreat nestled in the Sahyadri, offers rejuvenating experiences in sylvan setting. 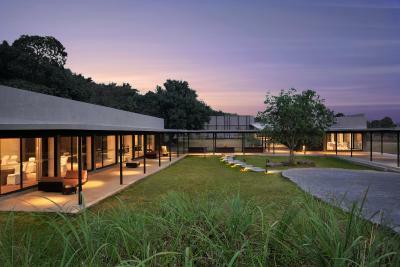 Spread across 320 acres, this all-villa accommodation, with retreat hosts, is amongst Asia’s largest spa facilities, encompassing 70 acres, with over 80 treatments. 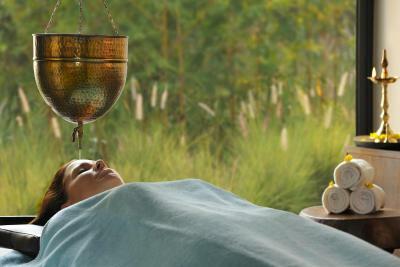 Discover wellness at Shillim Spa and choose from signature treatments or personalized wellness programmes. The 3 nights Shillim Wellness Experience includes a Swedish massage, scrub, facial, foot reflexology, personalised pranayama, jungle trek, with health cuisine. Sahyadari Signature Experience is a deep tissue massage with hot bundle fomentation, and Release blends Ayurveda’s marma massage with western classical. Trek through the forest to the Shillim Peak for spectacular views of Lake Pawana and breakfast atop 920 meters. Return to the Shillim institute for Bird Watching with a naturalist, cycling, pottery and painting. Savour flavours of the soil at Green Table, practising the ‘farm to table’ concept and choose from seasonal specials, over interesting anecdotes. Unwind with signature blends at Hi- Tea at Tea House or selection of wines. 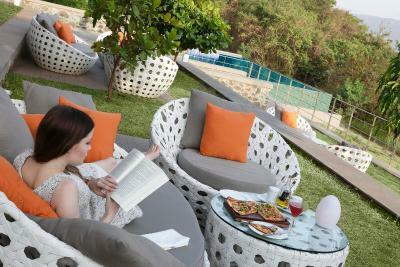 House rules Hilton Shillim Estate Retreat and Spa takes special requests - add in the next step! 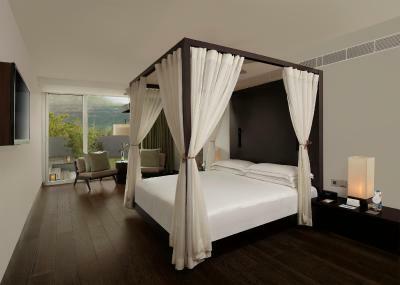 One further older child or adult is charged INR 1500 per person per night in an extra bed. Hilton Shillim Estate Retreat and Spa accepts these cards and reserves the right to temporarily hold an amount prior to arrival. Please note that kids under the age of 12 stay complimentary in the same room as the registered adults, with no additional bed. This is applicable to maximum of 2 kids and charges apply for meal. Children up to 5 years can have free meals from 'child menu'. Please note that service charge 5.70% is applicable as per room stay. All prices displayed are subject to Goods & Services Tax (GST) at prevailing rates- 18% for transaction value of INR 2500, or more but less than INR 7500 and 28% for transaction value of INR 7500 or more. The tax amount based on the prevailing rates will be added to the hotel bill and payable by guests. Please note that for 31st December 2018, there is a mandatory gala dinner for all guests. 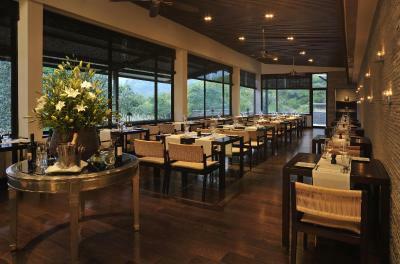 The gala dinner is priced at INR 9500 + taxes per person. 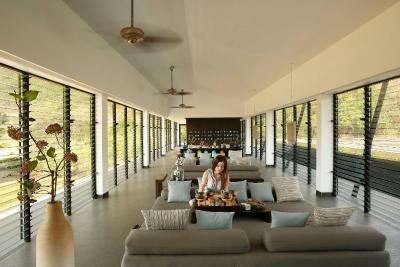 Please inform Hilton Shillim Estate Retreat and Spa in advance of your expected arrival time. You can use the Special Requests box when booking, or contact the property directly with the contact details provided in your confirmation. There’s nothing that I didn’t like. The only thing I felt is why didn’t I come here earlier. The worst experience in a 5 star property My Entire day just went in CO-ordinating with the staff for anything I asked for cause not one person did their job so one day to relax and paying so much was not worth it ... it doesn’t matter how beautiful the property when the staff ruins it all Worst Service Ever !!! The food was appalling and overpriced. Location and ambience!! Hospitality at its best. Food is very expensive, outside hotel premises road is very bad. Food was not upto the mark. The place is huge, hence getting around is a bit of a challenge. They have tata nano cars for getting you around, but its usually a bit slow. The services are satisfactory, it took them almost 1 hour to get bathroom slippers which should have been there before. The cleanliness was a 6 on 10. You cannot walk bare foot in the room it will make ur feet dirty. I asked for a good valley view villa but was given a villa which was not at all a valley view. When asked them about some other villa, i was told that all the villas are of the same view and trees have grown up, so view is blocked but the staff said that there are villas with a better view. This let me down because i was led to believe a lie. All I can think of is the approach road to the resort, but that's not the resort's fault. The Spa wasn’t well managed - had difficulty in obtaining a massage appointment & thereafter had the therapist arrive late (saying he got delayed by the earlier guest which is not done). The food was great to taste but a little over the top on price. What I would recommend is me few more packets of coffee & teabags and shampoo in the room. What we didn’t like was the BRIGHT light under the wardrobe cupboard. Impossible to sleep with it on and had to call for it to be put off - and that’s where we discovered what I would call an ABSOLUTE NO-NO! The electrical switches are in the wooden wardrobe and a BIG POTENTIAL FIRE HAZARD!! (see pics) ALL IN ALL - A GREAT STAY!